As global demand for power, heating and transportation has been increasing, stepping forward to exploring deepwater oil and gas will play an ever greater role in meeting our energy needs. The purpose of "Deepwater Oil & Gas Summit 2010" – which will be held on September 14th-16th, 2010, at The Peninsula, Beijing, China – is to address current situations and future trends, discuss the latest deepwater oil and gas technologies and large projects, and to ensure the sustainable development of the deepwater oil and gas industry. During this summit, government officials, specialists, scholars, executives and professionals from China and abroad will assemble to discuss the opportunities and challenges in the deepwater oil and gas industry as well as determine future trend. The summit is to be a leading edge summit to highlight the outstanding advances in deepwater technologies, global deepwater projects, and serve as the networking platform for greater collaboration across the sector. As the organizers of "Deepwater Oil and Gas Summit 2010", China Energy Association and A.T. Unicorn Group sincerely invite you to join the "Deepwater Oil & Gas Summit 2010" to share your success and expertise. Date and Time: 23 July, 2010, at 0800 hrs. Date and Time: 24 July, 2010, at 0900 hrs. Many of you in the commercial diving industry are aware of the significant early contributions of the late Dan Wilson to our industry. Wilson is credited with introducing deep mixed gas diving to the civilian commercial diving industry with a demonstration dive off Santa Barbara in November of 1962. Wilson went on to form General Offshore Divers here in Santa Barbara and later started Subsea International in the Gulf of Mexico. 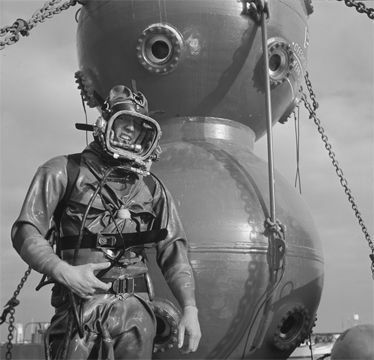 Dan's dive was a catalyst for the expansion and development of commercial diving and equipment into the industry we know today. I am writing to ask for the support and help of our industry to preserve a piece of our own heritage. 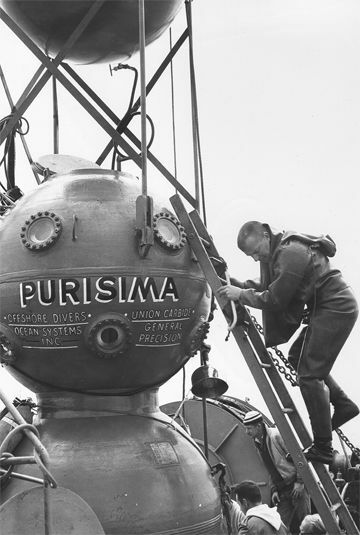 One of Dan's early developments was the world's first commercial lockout diving bell the Purisima. Purisima was originally launched in Santa Barbara in 1964 and ultimately was shelved with the rapid evolvement of diving technology at the time. Prior to Wilson's death in 2007, Dan had reacquired the bell from my former boss at IUC, the late Andre Galerne, whom we lost in 2008. Andre had purchased Purisima for its historical significance. Dan had kept the Purisima in an indoor boat storage facility for a number of years in Florida. Purisima still sits there today, along with an outstanding storage bill. I have maintained contact with Wilson's son, Dan, who lives in Montana. This past October, Dan and I met — along with Lad Handelman, Bob Kirby, Bev Morgan, diving historian Chris Swann, Bob Christensen, Bob Ratcliffe and Greg Gorga, Executive Director of the Santa Barbara Maritime Museum. A result of that meeting was an overwhelming desire to see Purisima restored and returned to Santa Barbara at the Santa Barbara Maritime Museum for a key exhibit. The museum is located mere yards from where the bell was launched over 45 years ago. We are trying to raise a minimum of $10,000.00 to pay the storage and mobilization of Purisima to the Santa Barbara Maritime Museum. Funds raised beyond that will be used to help sandblast, paint and prepare an interactive exhibit for the bell. It was decided to ask for the support of our industry as a whole, given the significance of Dan Wilson's life-long work. The Museum is excited about creating a special display with Purisima to supplement existing diving and early offshore oil industry exhibits. All of us were excited about the possibility of ADCI membership sponsoring this unique display that will honor our industry and a man who dared to "think outside of the box." Additionally, the display will be a significant representation of ADCI and commercial diving for tourists and visitors at museum. I would like to ask for your company's financial support in this regard and to contact me directly if you can help. The funds can be made payable to the Santa Barbara Maritime Museum Purisima Project. They will be held in an account until we reach our goal. The museum is a 501 (c) 3 non-profit organization. If you can help, financially or otherwise, please contact me at: subsea@cox.net or via cell phone at 805-708-0621. Thanks in advance for your support and consideration in this all-volunteer effort!